5.8GHz AV Sender, AWV695 - AIRWAVE Technologies Inc. This 5.8GHz video sender adopts a new industrial design with a high performance patch array antenna. It consists of one transmitter and one or multiple receivers. The input and output AV cables can be optionally RCA or SCART connector. This device transmits vivid video and Hi-Fi stereo sound from a VCR、TV set 、DVD、VCD、Satellite Receiver or cable set top box to any TV or monitor. 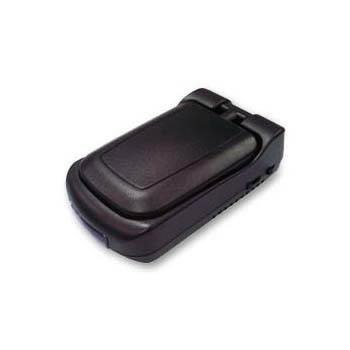 It can also be used in conjunction with a camcorder or CCD camera and turns into a wireless security monitoring system. As to the transmission capability, the signal can go up to 300 feet clear line-of -sight and even penetrate through walls. With the built-in IR remote extender, it allows the user to remotely control the audio/video sources in the other rooms. In addition, seven user selectable channels allow multiple transmitters to multiple receivers operation in the same area. And most importantly, the 5.8GHz frequency band is much more clear than the 2.4GHz one, therefore, no more annoying interference problem will bother you any more. All these advanced features will make your home life amazingly convenient and joyful.